← MuteMath – Odd Soul: Why can’t you do a little more for Jesus? Jeremy Larson – They Reappear: The gradual descent into abandonment… and the victorious climb back out. In Brief: Like the rising sun slowly chasing away shadows, it took several listens and close examination to realize how truly talented Jeremy Larson is. I didn’t think too much of Jeremy Larson the first time I heard his music. It was in a small, crowded club, and he was opening for Sleeping at Last, a band which I’ve always loved for making something big out of something small. Larson certainly has his own skills in that department, but listening to him bare his soul as a lone man on a tiny stage with merely a piano or acoustic guitar, it was unfortunately easy to lose him amidst the shuffle of similarly earnest singer/songwriters struggling to get heard above the din. I respected that a band I loved was giving him a chance, and figured I might check out a future album of his at some point, just to focus in on the songwriting even if the music was a bit too subtle for my tastes. And that’s when I found out that I had pigeonholed Jeremy Larson into a much smaller box than I should have. 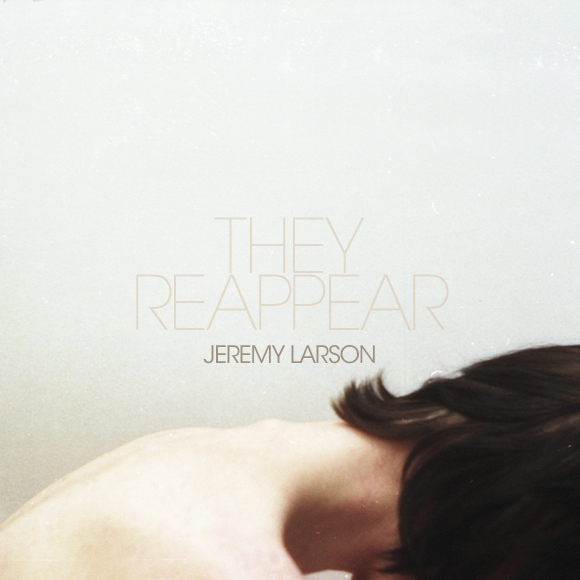 Jeremy’s third album, They Reappear, was quietly released earlier this year – possibly through his website or possibly only at live shows (I’m not sure which because I can’t find a valid purchase link anywhere on the web, but I’ve heard it’s getting a wider release this month). I was lucky to stumble across it, because it might be one of the purest artistic statements I’ve heard from any songwriter thus far in 2011. The true scope of this record couldn’t be made clear in an intimate, coffeehouse sort of setting – though many of Jeremy’s lyrics would likely provoke thought-provoking for those with ears to hear who weren’t just patiently waiting for another act to come on. His compositions are best when dressed up in the studio with lush piano and string arrangements – a style of baroque/indie pop bordering on jazz or classical at times. All of this would merely be window dressing if it were the work of some production team somewhere, but the kicker is that Jeremy composes all of these arrangements and plays the bulk of the instruments all by his lonesome. The sheer amount of care and attention that must have gone into an album like They Reappear is just staggering when you look at it from that perspective. And it presents Jeremy with the inevitable dilemma of only being able to perform on one instrument at a time. This is a man who sounds like he should have a string quartet in tow at all times, if not an entire freaking philharmonic. I might be exaggerating on that last bit, but that’s how the lush melodies, frequently spilling over the margins of the songs that would try to contain them and extending into their own weird little interludes, tend to make me feel. Even with all of this, it’d be tempting to peg Jeremy as a purveyor of gushy love songs and vaguely heart-fluttering feelings. Indeed, you could get lost amongst the massive tracklisting of They Reappear and not realize there was more to it than that if you didn’t pay closer attention. But those who dig beneath the surface and analyze the curious lyrics or the foreboding twists in several of his melodies will find a lot of soul-searching on this album, some of it bizarrely amusing, and some of it even slightly unsettling. To run the gamut from this sort of an uneasy mood to love songs and back, and still come out with a cohesive album that never feels like it’s overstaying its welcome, is no small task. It’s no wonder the guys from Sleeping at Last liked him and tapped into his talents for a few of the arrangements on their Yearbook series. He’s got that same uncanny ability to tap into the divine even when he’s making everyday observations. Mix SAL’s chilled-out chamber-pop approach with dreamy stringscapes that sit somewhere between the warm fuzzy feelings of latter-day Sigur Rós and the exploratory strangeness of Andrew Bird, the occasional “mad composer” outbursts that you might get on the more classical side of a Muse album, and vocals that split the difference between Copeland, Switchfoot, and Future of Forestry (slightly raspy, slightly dreamy). He’s carved out a niche all his own within the massive kingdom of solo singer/songwriters around him, and I was definitely a fool for ever thinking he was “just another dude with a guitar”. The album definitely starts off in “dreamy” mode, the softly brushed acoustic guitar and strings all dressed up for a romantic slow dance. But pay close attention to the lyrics and it’s a bittersweet dance, because Jeremy’s decided to start with an ending. In the most calming, reassuring tone he can muster, he sings softly to a loved one, asking her to “smile and hold on to me” as he reminisces on memories of their time together. Maybe they’re about to break up, or maybe one of them is about to die, or maybe they’re just getting so old that they run the risk of forgetting their glory days. It’s a sadly beautiful song in any case, the strings knowing when to hold back and when to swoop in with grace. You get the feeling that he just wants to make time stand still for her, to cherish every infinitesimal moment before the impending doom of the relationship. an attached song which, despite cutting the tempo in half, is an inseparable piece without which the previous song makes little sense. The structure of this one is repetitive, almost frustratingly so since it repeats its acoustic guitar melody and the line “And this is how…” what feels like a few dozen times, actually extending longer than the song it’s supposed to be outro-ing. But that refusal to simply state how he feels and get on with things is Jeremy’s way of hanging on to the moment, slowing the motion of his fingers grazing the side of her face as much as possible to give him something to remember when she’s gone. This isn’t my favorite moment on the album, and it strikes me as odd to spin off into slow repetition so early in the album, but I can kind of see why he did it. This brief instrumental is dominated by a cello, ringing out long and low with its slow, mournful melody. If you thought this album started off melancholy, then just you wait. The slow, mannered pace of this song picks up immediately from where “Murmur Exhale” left off, as if that transitional track were leftover from the background score to this one. It seems unassuming at first, but there’s a maelstrom of unrest lurking beneath its minor key melody, and even a guy with as wispy a voice as Jeremy’s can’t help but sound a little bitter as he addresses some sort of modern Pied Piper who appears to be leading innocent children astray. There’s a cold sort of math to it, as Jeremy acknowledges the collateral damage necessary to amass some sort of cult following: “And I’m well aware you’re gonna lose a few/Before the others come to you/A little sad, completely true.” Subtract some of the prettier musical elements of this song, or at least tweak them to sound a little more noticeably deranged, and this would be very close to the sort of quiet but unsettling ballad you might expect a band like Radiohead to put together. smacks you in the face like that. Wait, what just happened? The track changed again? Amidst all the clutter and growing dissonance, I didn’t have the time to notice. This strange concoction of murky drums and bass feels a lot like stumbling through a dusty closet, looking for some long lost weapon to fight off a Boogeyman who turns out not exist. As the track eventually fades into lone, resolved piano chords and the distant sound of those dissonant strings retreating into the night, I’m not quite sure what I’ve witnessed, but I realize at this point that Jeremy’s inventiveness is not to be underestimated. The album’s starkest and most intimate moment comes with this piano ballad, which is quiet but also disquieting, turning the accusations of moral compromise in on himself, almost as if he sees shades of that dying Devil when he looks in the mirror. For every brave, good act he manages, he only ends up facing his own inner cowardice, so the song is largely the shrugging off of compliments, falling back on the belief that man is inherently sinful. Numerous songwriters – Christian and otherwise – have explored this dichotomy, but I haven’t heard many attempt it with this smart a vocabulary. “The laws of motion always win/Every single force has an evil twin/With equal and opposing strength/One will move away, one is retrograde.” Also, even though this is a quiet ballad that doesn’t rely as heavily on the strings, Jeremy’s no musical slouch here. Listen to those complex piano rolls during the bridge. He’s got an ear for the ornate. The album takes on a distinctly more relaxed tone from here on out, but don’t assume from the light, jazzy drumming (yep, Darren again) and the brighter piano chords that it’s gonna be all bunnies and sunflowers from here on out. Try this lyric on for size: “Some would say this is humanity left on it’s own/A masochist cannibal dining alone.” I actually find it fitting that, despite this track’s chilled out lounge vibe, it’s still struggling with the after-image of ghosts bleeding through, good people struggling with inner demons who walk like zombies through the day, hoping no one knows what’s really going on. This scenario isn’t being played for drama or horror – it comes off a lot more like empathy, an affirmation of that difficult truth that we’re all trying to various degrees to be good, but all still sinners. If you’re looking for a moment of unfettered “pretty”, this might finally be the moment where you can exhale peacefully and just let the relaxing strings watch over you. The easygoing rhythm of “Day Residue” fades away into a slow, but systematic string melody that swells with the same sort of earnest, longing warmth as just about any outro on the last few Sigur Rós albums. It’s a sustained, satisfied sigh, a reminder that despite the pervasive darkness Jeremy’s singing about, a powerful light still leaks through. It’s easy to get lost in this section of the album if one doesn’t have a roadmap, so to speak – the songs all have that similar sort of gentle “swirl” to them, Jeremy’s use of 6/8 time giving them a similar character, especially due to the interludes in between that serve to melt one track into the next. This one seems like a quiet, acoustic guitar-based reflection at first, and it isn’t until its grand chorus bursts out that I remember why this one stands out to me. What starts as a meek apology to someone Jeremy has hurt and a meditation on the loneliness of cynicism suddenly turns a corner, flings the shutters open and lets the daylight pour open with a chorus that plays like the chamber pop variation of a happy-tears-inducing Coldplay climax: “And I am feeling it all tonight!” I really do mean that comparison in the nicest way possible. (Nothing else about it reminds me of Coldplay, for the record. Jeremy’s a little too improvisational for that.) At this point we’re confidently digging our way out of the dark-hearted hell-hole we were starting to dig ourselves into. The good in this songwriter’s heart hasn’t totally obliterated the evil, but one gets the sense that the tide is turning. It takes a careful hand to take such a rapturous melody, twist it into something minor key and otherwise riff on it until it becomes unrecognizable, and yet not let it take too much of a turn towards sadness or despair. That’s more or less what this short interlude does, as the cello melts and then composes itself again over a background of tinkling piano. Those who would be tempted to write Jeremy’s work off as “garden party” music would have to at least admit that it’s a really smart garden party. a growing flurry of strings, getting all riled up like a hornet’s nest. It’s all very Sufjan Stevens-y, until it takes a turn back toward the graceful glide of Sigur Rós once again before coming to a crescendo and an abrupt end. The title track is a strange, half-formed beast, part nervous footsteps in the dark, part fairytale ending. That it manages to do this with pretty much the same melody, just in different keys, is actually pretty cool, but it’s a surprisingly compact song given all that it has to sum up. The opening lines are certainly attention-getters: “Just a closer walk with thee/Lord all has gone to hell, I see.” It certainly sets us up for an amazing climax, but compared to the brilliantly timed ebb and flow of the rest of the album, this feels unnecessarily rushed, climbing up out of its dark nervousness and back into sunny daylight in a mere minute or so, leaving a final minute and change for one last lovely crescendo, as Jeremy’s prayer turns from the desperate need to rescue to gratitude and the will to live on. It’s nice and all, but it doesn’t leave me feeling like this is how the album should have ended. But let’s be fair to a man who clearly put a ton of hard work into an unusual and addictive little album. The occasional repetitive misstep and a disappointing title track don’t add up to any major demerits. Perhaps one has to be in a special mood for They Reappear to really speak to them, but once I found that mood and gave it the time to really sink in, this album spoke quite powerfully in its own mixture of worried and wide-eyed languages. It sets the bar high for Jeremy’s future work, and from this point forward, if I hear another gorgeous string arrangement in a song by one of those kind-of-indie, kind-of-CCM-but-not-really bands that doesn’t like to be pigeonholed, I’m gonna check the credits just to see if Jeremy’s name is in there somewhere.